This Unique Kettle Corn Kernel will give you a large round popped kernal. 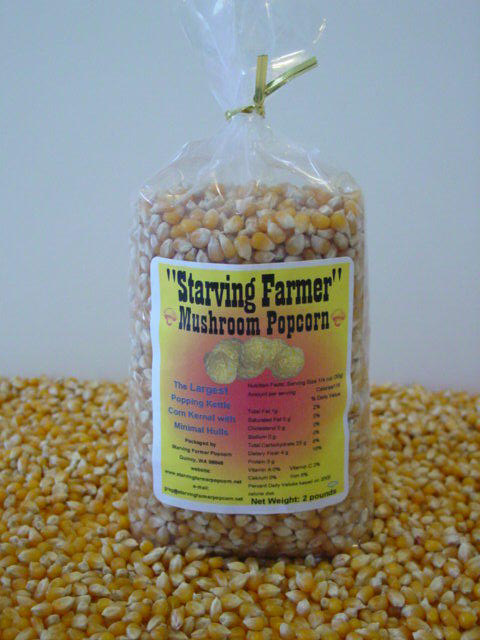 Almost 100% Mushroom Kernels with minimal hull and gives you 30% larger finished product than competitive mushroom popcorns. Great for Kettle corn, popcorn balls, or just pop and eat it. Our popcorn is all GMO free.